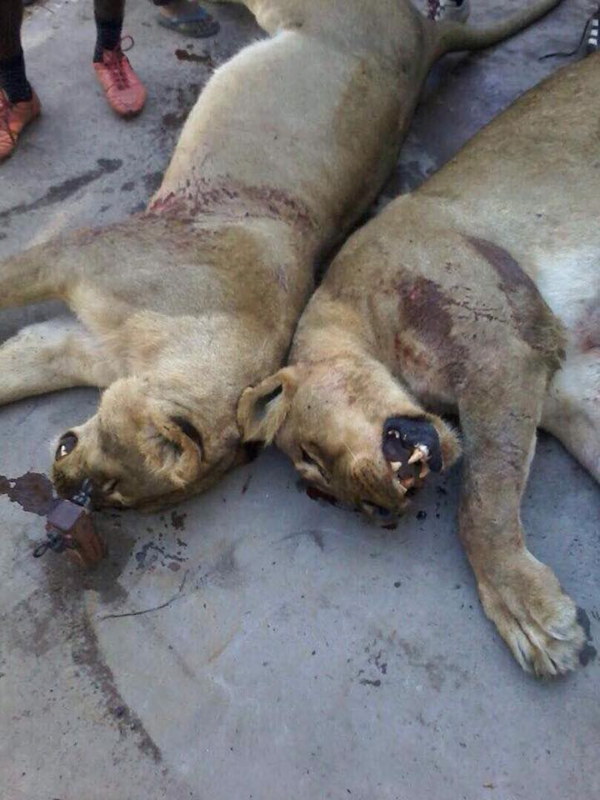 Cape Town – Two endangered lionesses have been killed after being lured out of Hwange National Park in Zimbabwe to a hunting trap set up using meat from a cow allegedly killed the previous night by the two lionesses. 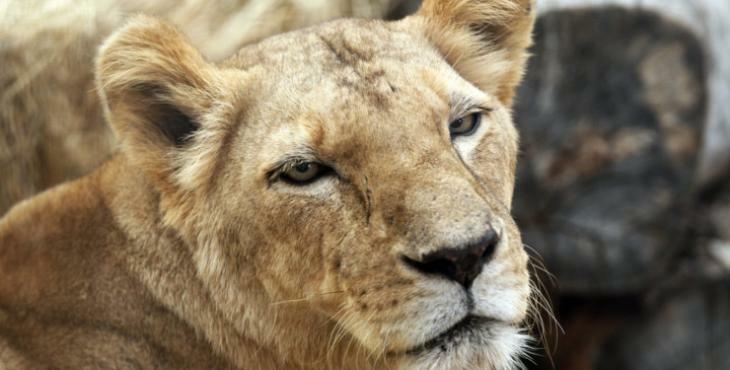 The human-lion conflict issue is being highlighted in Hwange, as its Rural District Council is believed to have approved the targeted hunts. The shooting which took place within 60km of the spot where the iconic lion Cecil was killed by hunter Theo Bronkhorst and his American hunter-client, Dr Walter Palmer on July 1, 2015 – with one of the two lionesses reportedly pregnant when she was gunned down. Hwange-based lion researcher Brent Stapelkamp says while the livestock loss is regrettable, it could have been avoided together with its consequences if the farmer had kept his cattle in a protective boma for the night. Further, Stapelkamp says the council could have opted to save the endangered animals by seeking help from one of the five community-based lion guardian groups, which are trained to use non-lethal means to mitigate conflict between humans and predators. The lion guardian groups include the Soft Foot Alliance, The Lion Guardians, Mother Africa Trust, Conservation & Wildlife Fund and Panthera. The staff are specially trained to resolve human-lion conflicts in a way that balance the safeguarding of community property and lion conservation interests. Stapelkamp says by approving the killing of the lions in the absence of proof that they were responsible for the predation incident of the previous night, the Hwange Rural District Council had demonstrated its insensitivity to the plight of Hwange’s critically endangered lion population. He says the council attempts to justify the killings by making allegations that they killed four cows, instead of one, were misleading and aimed at creating the impression that the lions exited the park with the intention of hunting down livestock in the communal lands. “Apparently, an elephant was shot earlier as a problem animal a distance from the scene, although meat from the carcass was removed very quickly. Three lions then came out the park to feed on it. “I hear that the lions then found a heifer that refused to go into its protective boma at night and killed it,” says Stapelkamp. Stapelkamp says that the killings should be investigated to find out whether it was legal because the slain lions were not found in the communal lands, but were baited out of the park using a meat trap set up by the professional hunter who killed them. “A local guide and professional hunter rushed around, and without notifying the Lion Guardians or trying any non-lethal mitigation, sought permission from the council to shoot the lions. “He was granted permission. The remains of the lion kill was set up as a bait and three lions came to feed. Two females were shot and killed and a sub-adult male escaped,” says Stapelkamp. Added to this, Stapelkamp says the killing undermined the Hwange lion conservation project and was a call for Zimbabwe to wake up to a ‘perverse mix of ego and self-interest’ that works to reverse the gains of conservation. Photographic safari operator Sharon Stead expressed her outrage saying for the past eight months, the slain lionesses were mostly resident and very popular with her guests at Ivory and Khulu Lodges. Stead says the killings happened as she concluded a marketing tour of Germany and the United States, where she used slide images of the slain lionesses to market Hwange as a global photographic safari destination. “Today, I learned that the very lions I have spoken about and shown on my slide presentations, the same lionesses that have found and made our concession at Ivory Lodge their home for the past 8 months, have been shot and killed,” says Stead. Stead says it was shocking to learn that the community-based lion guardian groups which are trained to advise and provide manpower support for non-lethal mitigations of such human-wildlife conflicts were never called up to handle the predation case in Dete. Benny Ncube, the area manager of the Communal Areas Management Programme For Indigenous Resources (CAMPFIRE) who authorised the killing says the public outrage over the lion killings was informed by public ignorance of the council policy for dealing with ‘nuisance’ predators. According to Ncube although council understands the importance of lion conservation, it was more concerned about the protection of community resources. “As far as I know, those lions were eliminated in a legitimate problem animal control programme. We cannot try scaring away the lions because they are stubborn and it doesn’t work. So we just eliminate all nuisance predators whenever they kill livestock,” says Ncube. 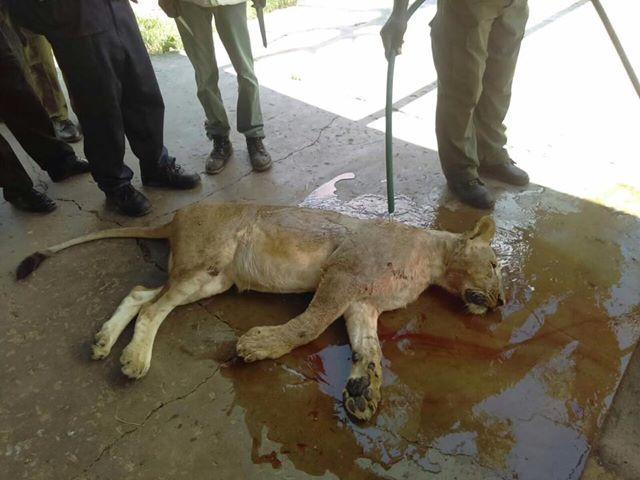 Ncube says although the Dete lionesses had no known tendency of leaving the park to hunt for livestock in communal areas, he classified them as ‘nuisance animals’ on account of the farmer’s loss of four cattle in one night. However, Ncube conceded that he never visited the scene but approved the killings based on verbal reports from the farmer and a council-contracted hunter who went to assess the damage. The killings have raised concerns about cattle ranching in Dete, a town on the northern boundary of Hwange’s lion range. Zimbabwean urban bye-laws prohibit pastoralism in urban areas. Safari operators say at least three large herds of cattle are permanently grazing in Dete, which is completely surrounded by the park and forests which are primarily home to lions and elephants. Some cattle have been sighted as deep into the Hwange National Park as Nehimba, a previously secluded lion range-land. The presence of cattle has led increased human infiltration by herd-boys who are blamed for setting up snares and hunting with dogs each time they come into the park. The rangeland also faces human encroachment as illegal fishermen spend days at the Nehimba dam, the only water source and hunting ground for the big cats. Conservationists fear that the unchecked livestock incursions into the park may lead to more disputed shootings in case of predator attacks. The Parks and Wildlife Management Authority (PWMA) sources blamed cattle incursions on parks bosses who take bribes from ranchers in return for illegal grazing rights and immunity from prosecution. Efforts to get a comment from Environment, Water and Climate minister Oppah Muchinguri were unsuccessful.